​..... Hero Asphalt Paving is here!!! 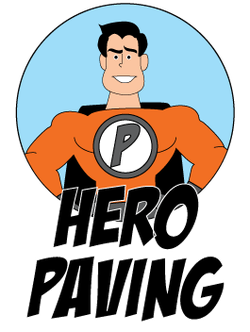 Welcome to Hero Paving! We provide asphalt paving service to Charlottesville VA and surrounding areas including Stafford VA, Culpepper and more more! Here at Hero Paving, we’re dedicated to providing flawless commercial and residential asphalt paving to include parking lot paving, driveway paving and many other services to our clients. We pride ourselves on providing our clients with a robust and enduring product that lasts for years. We can provide both residential and commercial paving services to our clients. Our services include replacing and restoring driveways, parking lots, and other asphalt surfaces. We offer our commercial and residential paving services to all clients, regardless of the size of the job! If your asphalt driveway is cracked and invaded by grass, your business’ parking lot is faded and in disrepair, or anything in the middle, let us help you! Please click on the links below to learn more about the paving services we offer and click here to learn about our Free Consultations! Don’t let your family, employees, or customers wear their cars down on disheveled and fissured pavement. Allow us to help you minimize any wear and tear on their vehicles by restoring the pavement! We can proudly say that we have never had a complaint to the BBB (Better Business Bureau). We cover these areas: from Charlottesville VA, Stafford VA, Richmond VA, Henrico VA, Chesterfield VA, Petersburg VA, and many, many more!